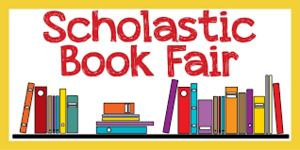 The Scholastic Book Fair is Coming! The Scholastic Book Fair will be open the week of February 11 - 15. On Monday, Wednesday, and Thursday, it will open until 3 pm. On Tuesday, we will open until 2 pm. The Book Fair will close Friday at 1 pm.